When you sign up for teacher training at Sun Yoga, you become part of the global Sun Yoga family. In today’s commercialised world, Sun Yoga differentiates itself by making building a global family its main agenda as opposed to short-term profits. 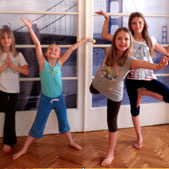 Initially created for the British National Curriculum’s PSHE syllabus (Personal, Social & Health Education), SUN YOGA KIDS has grown into an international movement with over 300 teachers in more than 20 countries worldwide. The Sun Yoga Prenatal Yoga is a comprehensive course on understanding conception, the pregnancy progress, delivery room yoga and post-natal recovery.